VersiWall® GP Trays can be individually replaced or removed for wall maintenance or design change. 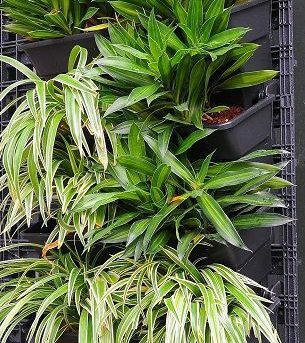 Each VersiWall® GP Tray has a water reservoir with a cover designed for the provision of a capillary wick to re-use stored water and facilitate sustained plant growth. 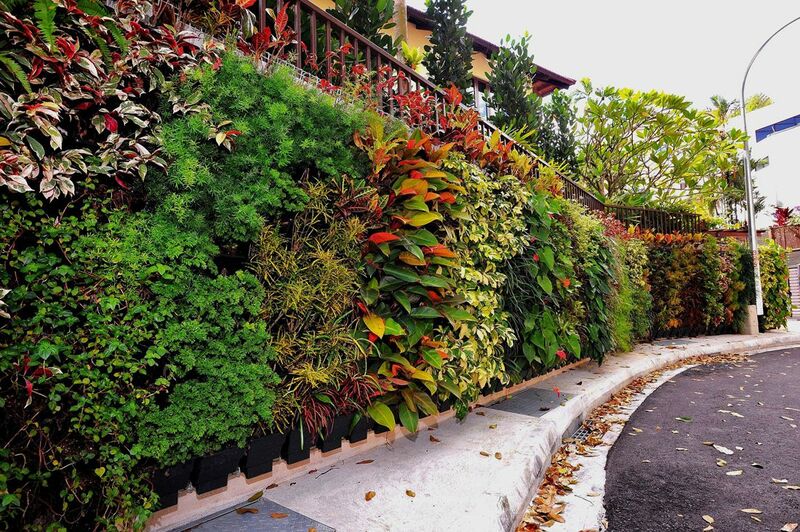 The VersiWall® GP is an easy-to-install and low maintenance modular vertical greening system with a choice of mounting, planting density and growth media options to suit different wall conditions, depending on plant size. VersiWall® GP Trays allow plant spacings of 200mm and 250mm horizontally and 150mm and 225mm vertically. The use of mounting frames minimises wall penetrations and enables installation to be carried out easily and safely by just one person. VersiWall® GP Trays and VersiWall® GP Mounting Panels are manufactured from UV-stabilised recycled polypropylene that meets requirements for international “Green Building” certification. VersiWall® GP allows for flexible installation options to suit your needs. 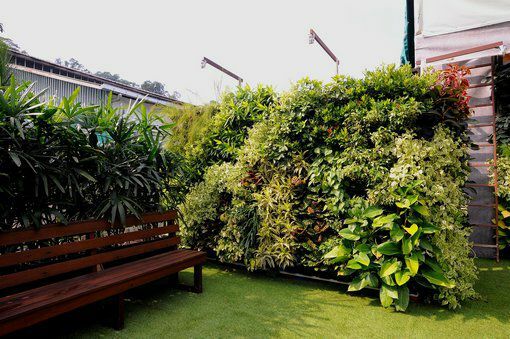 Planting Media suitable for most green wall plants using different planting media. Anti-lift arms prevent inadvertent dislodgment of trays. Able to install on different mounting frames with 6-point anchoring system. Distributes irrigation across the Tray and prevents media spillage. 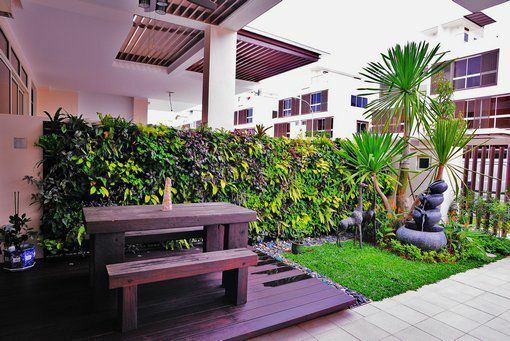 Allows different vertical and horizontal spacing for varied planting options. Excess water flows into underlying trays or is discharged through drainage pipe.